Auntie Em is a sweet girl who loves to play and meet new people! 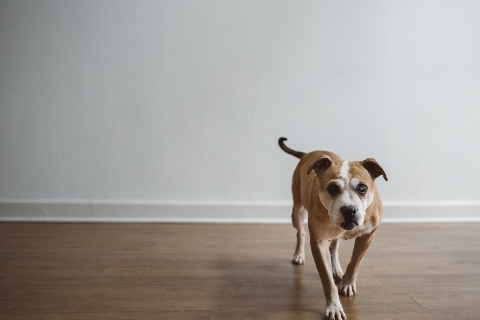 She came to PAWS Chicago after a family found her on the streets of Chicago. 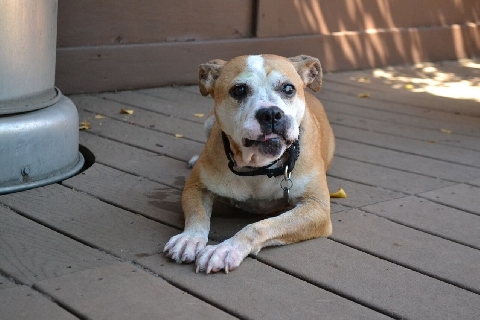 She is a sweet 12-year-old Bull Dog mix who has a mysterious past, but a bright future. 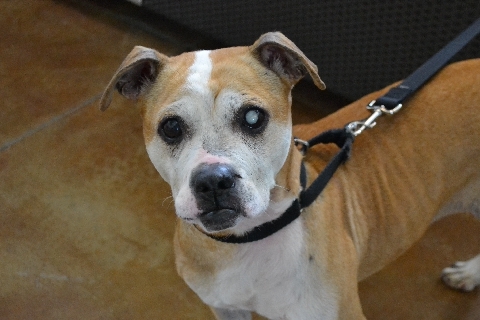 Auntie Em is mostly blind and has a glazed over eye, but she has a way of stealing the heart of every person she meets. 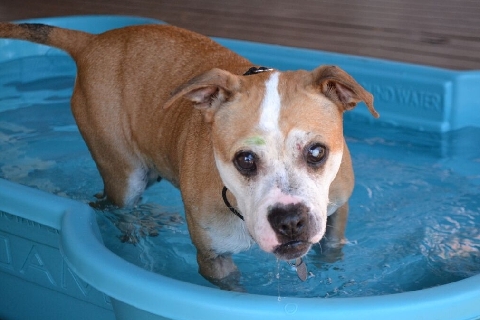 As a mature lady, she takes pleasure in the finer things in life, like getting belly rubs from her favorite PAWS Chicago volunteers, going for a swim in the swimming pool, and chewing on a delicious treat. If you are looking for a low maintenance friendship with your days full of sitting happily side by side, Auntie Em is the dog for you! 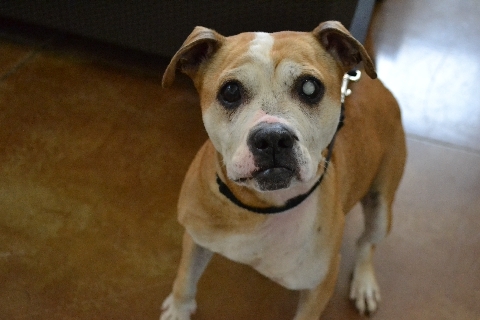 She is looking for a home where she can live out the rest of her days with a loving family! This little lady doesn't know she is older and is full of life. 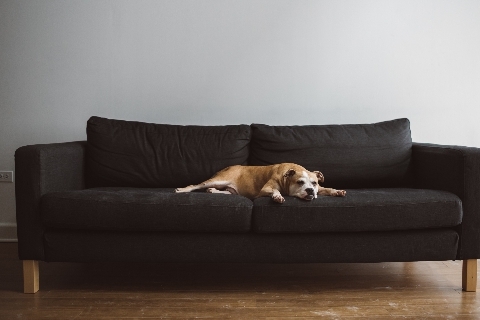 She would prefer a quiet home where she is the only dog. Meet Auntie Em today!